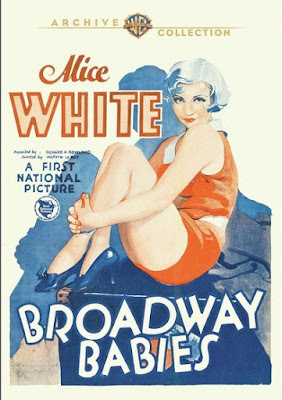 For a while in the late twenties and early thirties, it looked like Alice White was shooting to big screen stardom. With big eyes, fluttering eyelashes and bubbly charm, this blonde Clara Bowish-pixie confidently made the transition to talkies, as can be seen here in her screen musical debut. She had a limited talent though; her appeal was more of the featured player variety. Money demands, audience disinterest and scandal contributed to her woes and eventually she returned to her secretarial roots. Here White is at her best, holding the screen with marginal dancing and singing talent, but managing to be mesmerizing nevertheless. As a showgirl who drops her boyfriend for a bootlegger and shares a room with two other aspiring stars (the adorable Sally Eilers and Marion Byron), she trots out all the tropes that would become standard in years of films to come. The film is at its best when the trio of showgirls is together; their energetic interplay is always fun to watch. Unlike those notorious early screen musicals with leaden choreography and awkwardly-paced numbers, here the many songs are light-hearted and entertaining, with fleet-footed tapping and pleasing production design. Here White plays the daughter of cigar counter manager, who is bored with her childhood sweetheart (William Bakewell) and looking for excitement. You can’t blame her, as the eternally startled-looking boyfriend orders buttermilk when he goes to a nightclub and scolds her constantly. Sleek, playful gangster Chester Morris seduces her with his sense of fun and she doesn’t bother to ask him how he makes his living. She soon learns the truth about him in the worst way, when one of his crimes affects her family. You hope White will eventually search for an option three as both Bakewell and Morris are no good for her. She’s fun to watch and Morris seems to be getting a kick out of adding weird touches to his sleazy, but stimulating character. 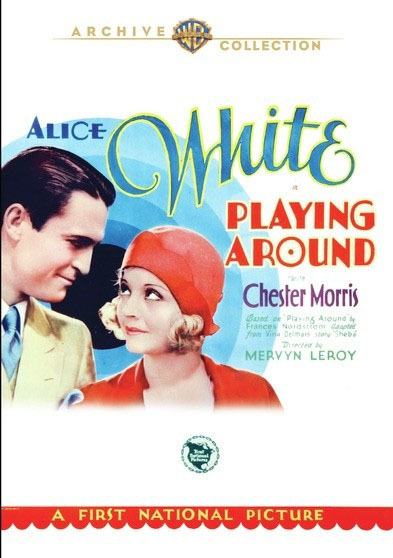 In one of her early “vulnerable, but not so innocent” roles, 18-year-old Loretta Young plays a socialite in debt who goes to work while her musician husband (Frank Albertson) skips across the pond for a Parisian gig. 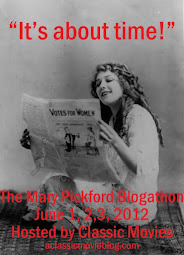 She works her way up in an ad office, from secretary to copy writer (sound familiar Mad Men fans?). With his signature wolfish grin, boss Ricardo Cortez goes after Young and she is diplomatic for the sake of her career, much to the irritation of Albertson when he returns. The thing is, he has also compromised himself romantically to get ahead. Joan Blondell appears in a small part, she doesn’t make an appearance until the last fifteen minutes of the film, but she gives the proceedings so much life that it is worth watching the film to see her. This drama is based on a concept that was surely icky at the time and which has become downright repulsive over the years. 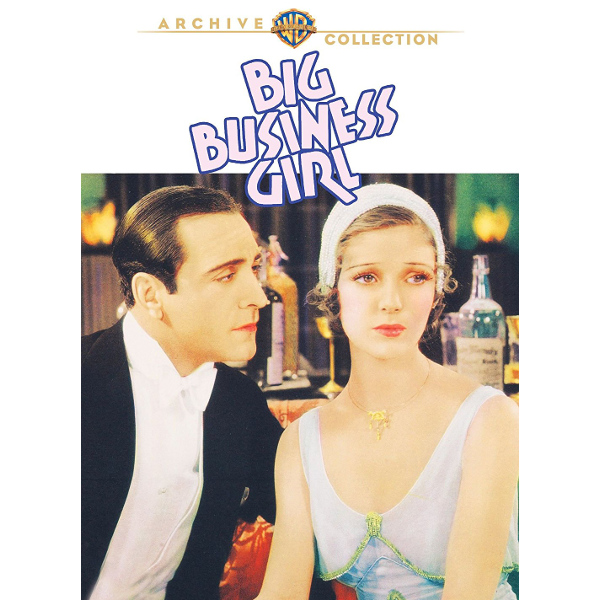 In Busby Berkeley’s directorial debut, Loretta Young is a secretary in a clothing manufacturer’s office who is pressured to entertain out-of-town buyers for a “bonus”. As one dame in the steno pool notes, “a bonus is only one of the things you can get from an out-of-town buyer.” The film plays lightly with sexual harassment and assault, presenting women as objects to be ogled and offered for sale. 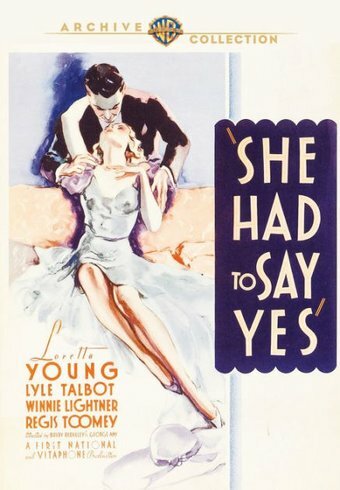 Young finds herself in an impossible position, expected to remain honest and pure while her self-absorbed beaux demand the freedom to do as they please. While there is no chance Young will remain single at the end of it all, it is dispiriting to see her abandon her standards with an air of inevitability. Depressing as it is, this is an excellent portrayal of the limitations women endured and continue to face today in a male dominated world. Edward Everett Horton gets to play a rare romantic leading role in this farcical comedy about an ambitious phonograph company employee who finds himself in the crosshairs of two amorous ladies (Louise Fazenda, Patsy Ruth Miller). He doesn’t seem to care for their kind, even quipping at one point, “I never spoiled a reputation in my life…male or female.” The cast is full of gum-snapping, wise-cracking supporting characters that play to the back row like seasoned vaudevillians. As Horton’s patient maid, Louise Beavers comes off better than her character is written; crackling with her unique, wide-eyed charisma. While the performers have pep and there’s an amusing absurdity to it all, the film becomes a long hour in the end. 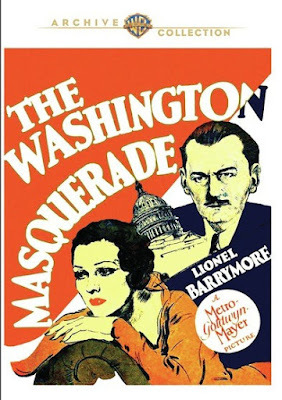 Lionel Barrymore is an idealistic lawyer who wins a senate seat and sets his sights on cleaning up Washington. Instead he falls for and marries Karen Morley’s glittering society dame, who is seeing the dangerously pretty Nils Asther on the side and plotting her husband’s corruption. These elements play out as expected: with Barrymore hooking his thumbs into his vest and mulling each noble word, Morley talking sweet on one side and dirty the other and Asther always looking up to no good, as he does. Alongside the predictable, there are many subtle delights in this film that give it more punch than you’d expect. It’s filmed with care, with beautifully composed shots and evocative lighting. Barrymore is framed at a distance, beneath an enormous doorway and you feel how he is in over his head. There is also the fascinating interaction between Morley and Barrymore; she was such an intelligent actress and he seems to respond to her, letting her excise the ham from his performance in their scenes together (he lets loose the rest of the time). As Barrymore’s concerned daughter, Diane Sinclair makes much of what would normally be an unsympathetic, if noble role, telegraphing her profound worry without a hint of the jealousy or pettiness that could have threatened the depth of her performance. Thanks Erich. That means a lot coming from you! I love your flick round-ups. Guess I have complicated feelings about this bunch. Some of them were rough going, but I wanted more once I finished the last disc. Such are pre-codes. 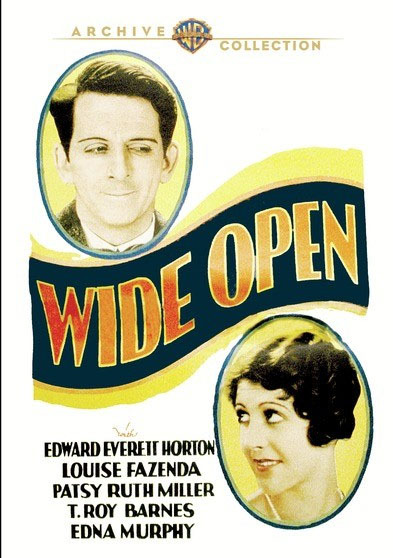 I saw Wide Open at a festival (Cinesation or Cinevent) and while I agree it has some early talkie creak, I enjoyed it and really enjoyed a number of lines which seemed to be jokes for those in the know about Horton being gay in real life.